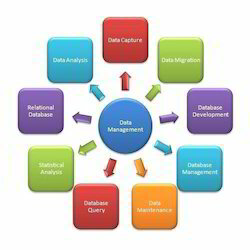 USM has a strong Data Management experience in both the technology and operations areas. USM's team of domain experts is continuously helping its clients into different verticals across the world. Backed by deep domain expertise and strong technical expertise, USM has the capability to analyze the data management needs of the firm and provide an integrated data management offering. Specifications, tests, parameters as per In-house or pharmacopoeia. Logging single or multiple samples with automatic number assignment. Track samples, sampling schedules and AR No.s with ease. 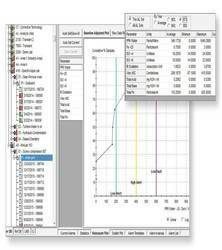 Can Create sampling points, locations and frequency as per requirement. Can Create and modify schedules for sample collection based on requirements. 'Get an Expert Onboard' with ACMEI's Remote Support Packages & get access to the help you need - when you need it, to get the best out of your Condition Monitoring & Maintenance activities. If you are an Oracle eBusiness Suite customer and are having problems with managing customer data because of usability issues and lack of governance, then Triniti Customer Data Management is ideal solution for you. Play the video to see how it solves these issues. The experts at Provizer ICT Wing, have headed some of the world’s top companies through the technical, business and resource-based issues which are essential in advancing IT development from end to end initiatives. Crown’s management system for hard copy documents, files and cartons provides convenient access to information stored within your archive. Easy-to-implement solid works pdm software provides a range of sophisticated capabilities that power a comprehensive set of intuitive product data management (pdm) solutions for implementing, administering, and leveraging pdm as the underlying foundation of your product development operations. Some of our most value-adding products aren't even visible to the eye. When it comes to optimizing your production, it's all about the software. Sirius Transtech provides storage space and related management services adhering to standard backup and archival process. we provide both local and remote managed storage services. Data is at the heart of what we do each and every day. You might say we live and breathe data. Enterprise information systems including customer resource management (crm) and enterprise resource planning (erp) can be a rich source of data describing the behavior of your customers. Metrixlab can extract useful insights from those data, by integrating with other data and/or into marketing dashboards and marketing mix models.